After three weeks of competition, our first Route 50 Olympics are coming to a close. I had no idea how this would turn out when I first started it up, but I'm really pleased with how everything's gone down. More than pleased, actually. I've been truly impressed by the quality and number of entries from all of you guys! Seriously, I just want to thank everyone involved. You made this great. And hey! Since this turned out so well, I can see this becoming a regular thing. I'd personally love to do this all over again. Winter Routelympics, anyone? 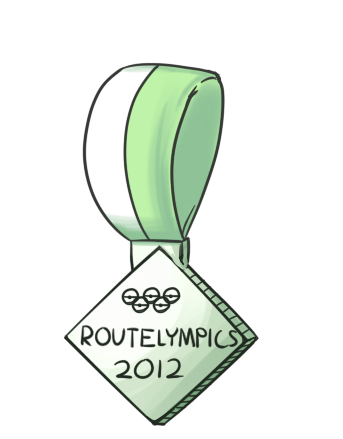 But for now, focus back to the Routelympics we just finished. We've got some awards to dish out. A big congratulations to team Kanto on their win! Makes sense- they had the most participation overall. Gift art of your team will be posted in the next few days, so keep an eye open for it! Now, for the people with the highest scores from the entire competition. These scores come from averaging their scores from each consecutive week. 0's were put in for weeks where no entries were submitted. 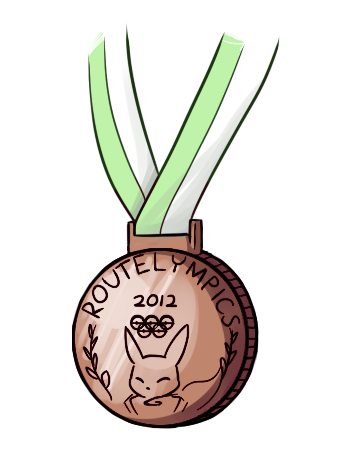 And now, medals and stuff! There's not really an official way for you guys to 'use' these, but.. feel free to post them wherever you want, stare at them and feel proud of yourself, whatever floats your boat.